Walking into a symposium on youth education for my leadership class, which begun the half hour before, I couldn’t help but feel like I wasn’t in the right place. Surrounded by faculty, cameras relaying the presentation online, and very few familiar faces, I went over to registration and confirmed roughly seven times that I was in fact at the right event. For my Leadership Minor, I will start volunteering in an elementary school next week with first-third graders after school for an Everyday Leaders program (heartwarming). I’m not one to be unprepared, but with no experience working with kids, growing up with younger siblings, or knowledge of youth studies, it’s hard to not feel like an odd one out. However, it’s been humbling being out of my comfort zone, as I am constantly learning from others in class who have profound experience and passion for working with children, and can be great resources for me. 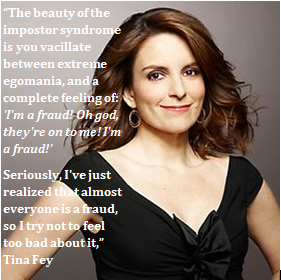 More and more, I have heard this topic of faking it or the “imposter syndrome” coming up. Whether it’s going to a new department, giving a presentation on a whim, or attending a new exercise class, I think everyone has had an experience of pretending to belong. Throughout this amazing presentation on the current education system, I realized the multitude of just how many people are faking it. Discussing the struggles encountered by students who have English as a second language, or those with responsibilities like siblings and household bills, and so many others, how are these students supposed to confidently be themselves when they play so many roles? If they can’t confidently speak the language of the course or see school as the most pressing responsibility, can you blame them for feeling lost or inadequate? One of my greatest takeaways, was the idea that the current education system and workforce doesn’t often recognize the knowledge that is gained through these experiences. Dr. JuanCarlos Arauz said, “We focus so much on the stories, we forget about the skills that come along with them.” I think a culture of “faking it” is perpetuated, because we don’t spend enough time celebrating the skills and knowledge we see in others and in ourselves. 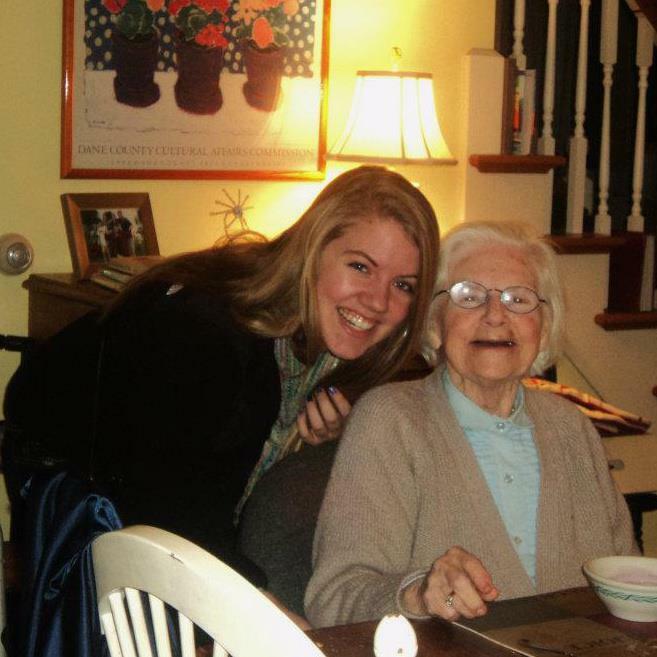 Claire and “Grams,” Winter 2011. This reminds me of my friend Claire, whose personal statement I reviewed this morning. I was admiring her passion for her major and how much she has gotten out of her life experiences as she advances towards a counseling career in behavioral disorders and substance abuse. Claire has been a caretaker for her ill grandmother, been a productive presence in the face of addiction, loss, and despair. I am amazed by the compassion, patience and dedication she has to others and her ability to restore hope and motivation. When it comes to life experiences, you aren’t able to clock out and leave it behind, you can’t pass too big of a project off to a manager, you do it because you have to. Many times, the experiences that define us most and make us unique, aren’t the ones that are backed by a college degree or company logo, something Claire epitomizes. Imagine how much more we would learn, how many more ideas would be brought to the table, and how many more people would feel welcome sharing their ideas, if we gave the same value to these life experiences. I think if we recognized the gifts, talents, and skills each and every person around us possesses, they would have an easier time seeing these things in themselves. We know more than we think we do, and we’re capable of more than we’ve ever accomplished, it’s just a matter of welcoming those opportunities that are out of your comfort zone. We need to have confidence in ourselves and in others, so we can ditch the faking, and start making.